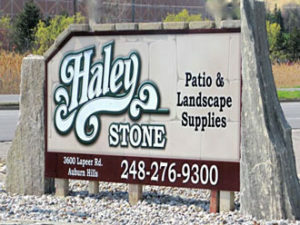 If you are in need of a top rated Michigan Natural Flagstone supply, please visit Haley Stone in Auburn Hills (248) 276-9300 or Rochester Hills (248) 852-5511 to browse our large selection. 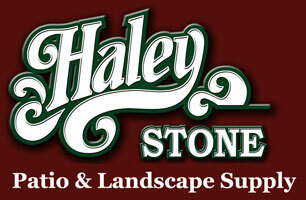 Click here to see a photo gallery of our Natural Flagstone. Pictured above is our beautiful natural flagstone in action! For decades, flagstone has been one of the more popular choices because of the array of unique qualities it has when compared to standard materials. Not only does it provide for a durable and naturally slip-resistant patio surface that can last for years, it’s also easy to work with due to the flat, thin nature that comes from its splitting layers of sedimentary stone. Flagstone’s shape and earthy shades of browns, reds, grays, and blues create a type material that is stunning for any outdoor landscaping need. The large, flat stones of flagstone are used in a variety of landscaping projects ranging from patios, paths, walkways, seating areas, and walls. Understanding the benefits associated with using flagstone for a new patio or sidewalk design can help homeowners who are looking to spruce things up make their final purchase decision. Below are some things to take into consideration. 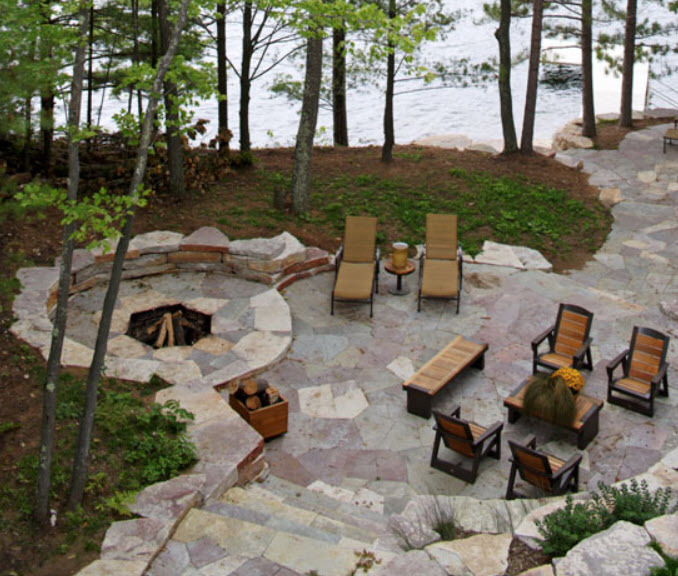 WHY SHOULD YOU USE NATURAL FLAGSTONE? Flagstone has many qualities that make it even more appealing for any landscaping project. The material, first and foremost, is incredibly flexible, and because of the array of assorted colors and shapes the stone arrives in, no two projects using flagstone will ever look the same. The texture of the stone is also non-slip, allowing it to be an ideal walking surface for paths and seating areas. With little to no maintenance, this material packs versatility that many other stones do not. Since flagstone is one of the more durable materials available, you’ll spend less time worrying about repairs and more time enjoying your new pathway. Additionally, turf and moss can be planted around the stones, adding depth and visual interest. 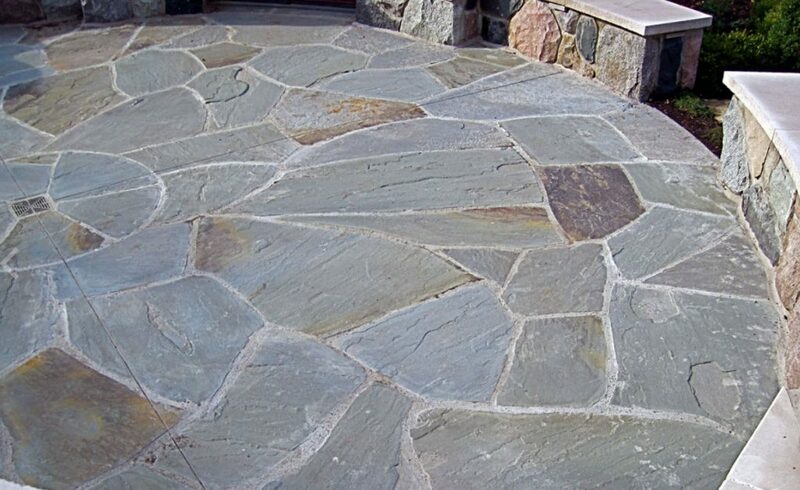 Seen above is some of our natural flagstone used in a patio! The versatility of flagstone allows for either single stones to be laid as a means of making room for plants to grow in-between, or laid down as a completely solid surface all by itself. The stones are also acid resistant, (meaning they can be laid straight on top of soil) which makes flagstone a perfect application, as it can be used indoors and outdoors without the need for aggregate or concrete. What’s more is that flagstone is both highly dense and a low absorption type of material, making it resistant to even the most extreme weather conditions. Flagstone will indeed create and add beauty to any landscaping project around your home. The material is widely available in a broad range of colors, shades, sizes, dimensions and thicknesses, meaning there is always the right kind of flagstone for any type of application or design. Flagstone is truly a natural beauty that consistently performs well, making it an excellent material that provides an all-around natural look and feel. It can be laid as one consecutive color or can be laid with a palette of complementary colors that will provide a mix of natural hues throughout your entire landscape. 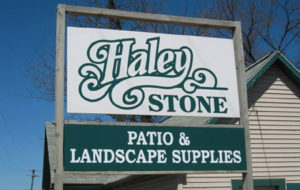 If you are in need of an experienced and trusted Michigan Natural Flagstone supply, please stop by Haley Stone in Auburn Hills (248) 276-9300 or Rochester Hills (248) 852-5511 to see our large selection.